SoftTest Ireland are delighted to announce our 2018 Full Day National Conference for software test professionals and those interested in Software Testing. This is our fourth Full Day Conference in four years. The conference includes two keynote speakers, workshop and a number of track talks throughout the day. We have a mix of experienced Irish and International Speakers including Rob Meaney, Julie Gardner, James Thomas & Claire Reckless. The 2018 Conference Programme can be found here. This event would not happen without our sponsors for the event. 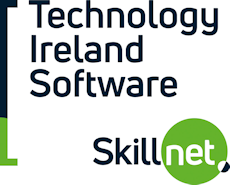 Many thanks to: Deloitte, SQS, Test Triangle, Technology Ireland Software Skillet, Sogeti & SmartBear for their support.